Upload or import KML file on Google map. KML or Keyhole Markup Language is file which models and stores geographic features for display in Google Earth or Google maps. You can upload and view the KML file you already created on Google Map, to verify Whether the overlapped feature of KML uploaded has proper valid geometry or not in respect to the Google Map Feature. Before uploading the KML on Google Map, you need to have a Google account. The file uploaded will be saved to “My Places“, you don’t need to upload it twice when require. 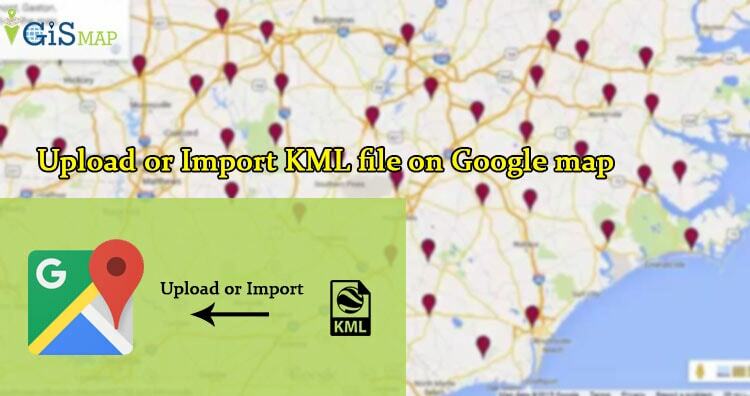 If you are not having an already built KML file, you can look at How to create KML file on Google map or How to create KML file on Google earth. 1.) Open Google map, and sign in for all in one Google account. 2.) 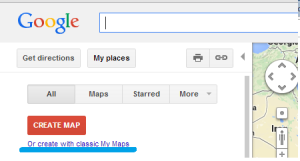 Move to My Places, a button on left upper side of Google map, and then select the Create with classic My Maps as shown below. 3.) 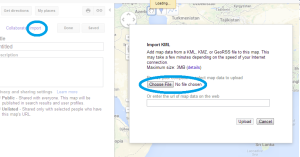 Select import option, and then browse the KML file you want to upload on Google map. 4.) Done, edit the title and description. You can make the map public or private. Save the map. Note: You can upload KML file of Maximum size of 3MB on Google Map, as per Google instructions. While i found some lose of data while uploading KML file of greater than 2MB. 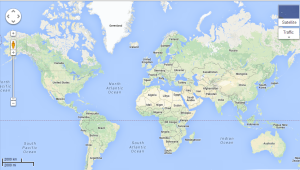 Alternative to Google map is Google earth for the same. The map saved, can be again viewed and downloaded by going to “My Places -> click on the title of map -> then the KML” option appearing just below the title of your map. You can also find the tutorial to convert KML to Shapefile and Shapefile to KML, with the help of QGIS an open source GIS tool. Want to know more technically on the KML and shapefile, i will provide you soon, related tools and coding for the same with explanation.